On October 2, 2016 Pastor Kris Snyder-Samuelson was elected to position of Senior Pastor. Rev. Kris P. Snyder-Samuelson grew up in a United Church of Christ church in the small town of Slatington, Pennsylvania. She has known ever since she played “Take and Eat” as a child with her sister with perfectly cut white bread cubes and purple Kool Aid that the church would always have an important place in her life. She’s also known since then that one day she’d be serving “Take and Eat”, Holy Communion, to others as their pastor. God’s call in her life to love and serve others has been constant and strong. In college (at Susquehanna University as a music major and then at Penn State University as an Elementary Education major) she knew she was meant to go to seminary but she wouldn’t say ‘yes’ for a few more years. While teaching middle school students at a Catholic School she tested the waters by taking classes at Lancaster Theological Seminary where her husband John was attending. When John graduated from Lancaster, they moved to Buffalo, NY where he served his first church and she attended seminary at Colgate Rochester Divinity School in Rochester, NY. She graduated from there with honors. In Western New York she had the chance to serve a large city church and a small suburban church. She was called to Union UCC, Neffs in 1996 as the Associate Pastor. Here she developed a team to take Communion and flowers to members, drafted and implemented a plan to call a visitation pastor, created new ideas for outreach and welcome, designed and led a Confirmation program for 25-30 students each year, generated a middle/high school ministry for over 60 youth, established and led a contemporary worship team, offered meaningful and creative worship and music experiences, and shared in all of the pastoral care, programming, and administration of a church of 1,400. Since November 2014, she has served in a new way at Union as the Acting Senior Pastor when Reverend Thomas N. Thomas retired. 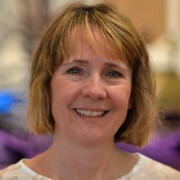 Leading in this new role has allowed her to: oversee the administrative pieces of our church’s life, support and empower the staff, develop a new approach to finances and Stewardship, collaborate in worship scheduling and planning, grow our church’s ministry and mission of Jesus Christ and create a vision and plan for the future. Recently at a new member gathering at Union, a new member said, “You know the saying we use to open worship: ‘No matter who you are or where you are on life’s journey, you are welcome here?’ Well I think that’s the best thing I ever heard a pastor say. That’s the kind of church I want to join.” Pastor Kris is passionate about helping Christians practice and live the extravagant love, grace and hospitality of Jesus Christ and she’s glad to serve at Union, a place that shares that passion. 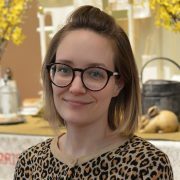 Her family includes John, her husband who is an ordained UCC pastor that currently works with a family services agency; their daughter Hannah, who loves working on environmental issues and organic farms; and Roscoe, their beagle mix. She loves gardening and supporting the many wonderful local farms in our area. Reading, swimming, walking, traveling, being near the water and watching a good movie or musical or listening to wonderful music are the things that always reconnect her with God and renew her spirit. Kayli was born and raised here in the Lehigh Valley. Growing up outside of Kutztown, she attended and graduated from Northwestern Lehigh in 2006. After high school, she attended Shippensburg University in Shippensburg, Pennsylvania. She graduated with her Bachelor of Science in Business Administration, concentrating in General Management, in 2010. Shippensburg, and knew that once she graduated from college she would venture on to seminary. 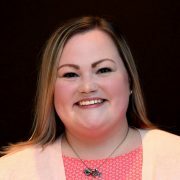 In the fall of 2010, Kayli took the biggest leap of faith in her life and enrolled in the Master of Divinity program at Moravian Theological Seminary (MTS) in Bethlehem, Pennsylvania. Although it was hard work and long hours, she never felt more determined and supported by God in her entire life. In May of 2013, Kayli graduated from MTS with her Masters of Divinity Degree. Kayli was born, baptized, confirmed, and raised in the United Church of Christ. Growing up she faithfully attended Sunday School and worship. She spent a few years finding herself and trying to figure out what it meant to truly be a Christian and embrace all that God was/is calling her to be. When Kayli finally decided to jump into her call feet first, she found that God is calling her to reach out to as many people as possible, spreading the good news and showing love to all that she encounters. She truly believes in the UCC mantra, “No matter who you are, and where you are on life’s journey, you are welcome here.” Kayli believes that Christ’s love was not conditional, so neither should ours be. Since graduating from seminary Kayli has been supply preaching at local congregations, filling in to preach and lead worship as needed. Most recently she’s been supply preaching weekly at Bethel UCC in Slatington. She lives with her loving, supportive parents, Jeff and Kim, as well as her older brother, Zach, and their three outrageous rescue animals. (two dogs, one cat). Pastor Patience has been our Minister of Visitation since 2006. Pastor Patience spends most of her time visiting members who are not able to attend worship. She also assists in organizing and leading Golden Times, our monthly luncheon for our senior adults. Pastor Patience assists in worship monthly, preaches quarterly, and leads the Adult Education class one month in the fall and one month in the spring. She assists in the Helping Hearts committee, a group of wonderful lay visitors and lay communion minsters. Pastor Patience also meets with those in need of pastoral counseling. Pastor Patience graduated from the American International School in Vienna, Austria. She received a B.A. in Elementary Education from the College of William and Mary. After serving as a college chaplain for four years, she went to Gordon-Conwell Theological Seminary, where she received her M.Div. She was ordained in 1988 in Wyomissing, PA. Pastor Patience then went on to study for a M.A. in Pastoral Counseling at Moravian Theological Seminary, matriculating in 1989, shortly after the birth of her first child, Ethan. In 2002 she received her Doctorate of Ministry from Eastern Baptist Theological Seminary (now Palmer Seminary) near Philadelphia. In addition to serving in numerous Interim positions in the PNEC, Patience has maintained a private practice as a Marriage and Family Therapist since 1986. Pastor Patience lives with her husband, Bruce, daughter, Catherine and cat, Sebastian. 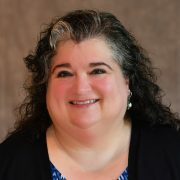 Her son, Ethan, has flown the coop and lives in Washington, D.C. She loves to spend time with her family, read, garden, swim, ride her bike and research her family history. 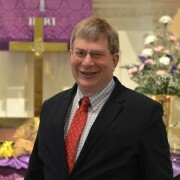 Tom began his service as Senior Pastor on the first Sunday of August, 1984. He completed his service in ministry here at Union UCC on October 26, 2014. He now holds the esteemed title of Pastor Emeritus. 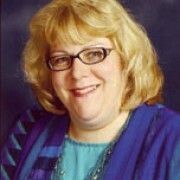 Kathy Bonsell is our Director of Christian Education. She oversees and supports the faith formation opportunities we have for all ages at Union UCC. The majority of her time is spent planning and organizing the activities and groups involving children from nursery age to fifth grade. She began her journey here in 1997, mainly focusing on Children’s Church and Vacation Bible School. Her responsibilities now include the Little Lamb Nursery, Sunday School, Junior Youth Group, and a weekday family Lent program. Kathy is also a member of the Christian Education Committee and the Neffs Preschool Board. Kathy graduated from Parkland High School. She received her B.S. in Elementary Education from Kutztown State College. Upon graduation, she returned to Parkland as an elementary teacher and taught in the district for ten years. She resigned from teaching after the arrival of her first child, Kelsey. Nicholas was born two years later. In order to occasionally get out of the house and have conversations with other Moms, Kathy sold Discovery Toys for five years. By the time Megan was born, Kathy was helping a friend start a business by selling home décor products, Tranquility at Home, at home parties. Lugging a van-load of toys or decorations all over Lehigh County and beyond did not provide her with too much tranquility, especially with three young and busy children at home. She was sitting in church one Sunday morning trying to keep her three children quiet and content, when a member of the congregation asked her why she didn’t apply for the Director of Christian Education position. She couldn’t shake the conversation and knew in her heart that she had to apply for the job. After an interview and sample lesson, Kathy was called to the position. That was sixteen years ago. Kathy and her husband, Rick, feel so fortunate that they were able to raise their children in the church (spiritually and physically) and she feels honored to have worked with so many wonderful children and parents in our church and community. She is just as excited about her position and possibilities today as she was when she first began this journey. Amanda has been called as Church Administrator at Union UCC. 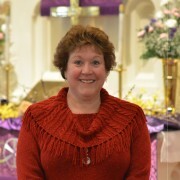 As administrator she is responsible for all financial aspects of the church, including weekly offering envelopes, paying all bills, reconciling all bank accounts, assisting with budget planning, the church audit, running payroll, maintaining the church schedule, preparing all financial reports for Consistory and assisting church members with everyday issues. She has previously worked for companies where she has handled marketing, payroll and accounts payable. She also has experience in life insurance and as a youth worker at a church. While at home with her son for the last few years she created an e-commerce business reselling women and children’s clothing. Maria assists with the responsibilities of the Facility Caretakers at Neffs Union Church. She cleans the restrooms and the sanctuary once a week. Maria lives with husband Wesley, 2 daughters Allison and Laura, 2 Siamese cats Beckham and Colby. She enjoys scrapbooking, walks, the beach, riding on the back of her husband’s motorcycle seeing the countryside, spending time with family and friends, fellowship here at Neffs church. Blake Hoppes is a man with a passion for music. He began playing piano at age 11 and progressed quickly, dazzling New York with a performance at Carnegie Hall at only 17 years old. That same year he won an international piano competition in Denton, Texas. Recognizing that his abilities could pave the way for a lifelong career in music, Blake enrolled at Penn State in 1997, where he studied piano with Marylene Dosse and Dr. Timothy Shafer. He also served as accompanist for the Glee Club, during which time he toured Trinidad and Tobago, Colorado, and Toronto, Ontario, Canada. Blake graduated with a Bachelor of Arts in Music Performance in 2002. 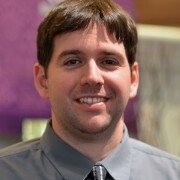 While he has spent the past ten years working as an estimator for M.F. Ronca and Sons, Inc. in Lower Nazareth Township, his music is anything but forgotten. In contrast, Blake feels a strong responsibility to help others reach their full musical potential. Consequently, he provides weekly piano, guitar, bass and voice instruction to both children and adult students. In addition to his role as a music teacher, he performs as organist, pianist, and accompanist on Sunday mornings at the Neffs, Union UCC. He is a frequent musical guest at wedding ceremonies and receptions throughout the Lehigh Valley. In his free time, Blake enjoys hunting, cheering on his beloved Penn State and Eagles football teams, and spending time with his family. He and his wife Kathryn are the proud parents of twins, Jordan Noelle and Cayden Robert, along with son, Gavin Matthew, and daughter, Brooklyn Jolie. Welcome Abby Hill to our staff to work with all of our instrumentalists, especially at the holidays. Please contact Abby or Blake to let them know that you play an instrument and that you’d like to play in worship. There are opportunities to play solos, in a group and with other groups. Ori was a Head Custodian in the Parkland School District for 35 years, retiring in 2014. Most of his years he worked at Schnecksville Elementary School and the last seven years at Ironton Elementary. Ori has experience in all aspects of the job and comes to us with wonderful recommendations. He lives in Coplay with his wife Shelly. They have 3 adult children, and 3 grandchildren. When he’s not cooking for his family or spending time with his grandchildren, he’s playing in his band Third Degree. Welcome to our church and to our staff Ori. Copyright © 2019 Union United Church of Christ.